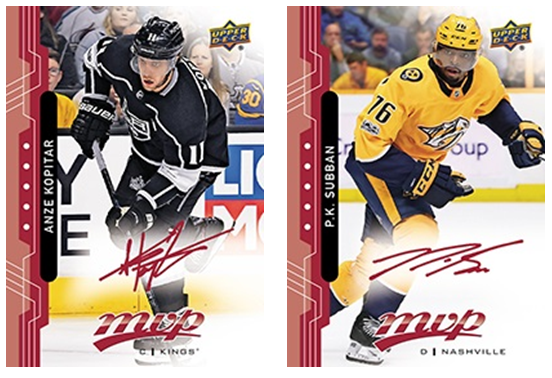 2018-19 MVP Hockey has arrived in Pack Wars on Upper Deck e-Pack®! Upper Deck e-Pack® is excited to bring the fan favorite card shop game to the e-Pack platform, creating an engaging way for collectors to rip packs with friends and fellow collectors and win some awesome awards! Pack Wars packs will be exclusively available on e-Pack and can only be opened by battling other collectors or CPU opponents. 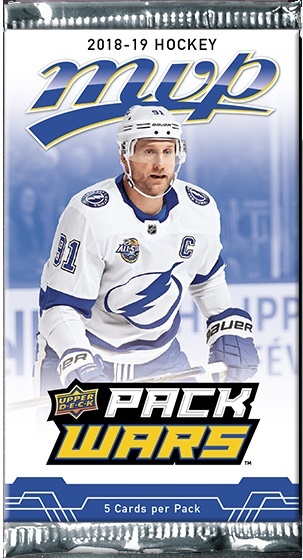 All packs of 2018-19 MVP Pack Wars packs purchased on e-Pack will feature 5 Base Set cards per pack. To play Pack Wars, purchase packs in the STORE, navigate to the Pack Wars LOBBY, and mark yourself as “Battle Ready”. At that time, you will be able to accept or send challenges to the CPU opponent or other collectors with unopened 2018-19 MVP Hockey Pack Wars packs in their account. Once you are placed in a Pack Wars match, your pack will open displaying all cards from your pack along with a number of statistical categories. Drag and drop a single card into each of the statistical categories and click “Confirm” (If you would like the computer to make these selections, click on “Pick for Me”). After both users have confirmed their selections, cards will be revealed and compared against each other for each category. In the event of a tie, a tie breaker round will commence in which a single category will be displayed. Whichever user wins this single statistical category matchup will receive a randomly awarded insert card. At the conclusion of the match, both collectors will retain their original cards and the collector that claims the most statistical category wins from the match will receive a randomly awarded insert card. Every Thursday, a new Weekly Leaderboard Challenge will be announced on the Upper Deck e-Pack® NEWS page. Be sure to follow along to see the exclusive cards you can win depending on where you end up on the leaderboards at the end of the week! Weekly prizes include cards with various serial numbering, autographed cards from top players around the league, and more! 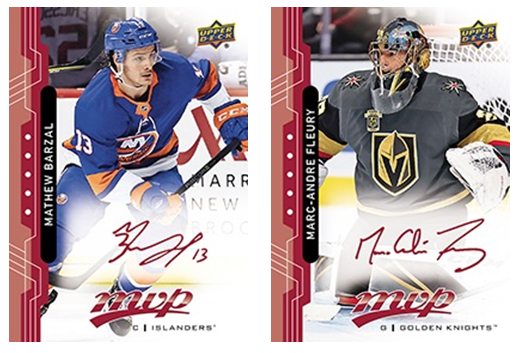 There are a number of incredible insert sets included in the pool of award cards that can be won by the winner of each 2018-19 MVP Pack Wars match, including Silver Script Parallels, 20th Anniversary Silver Script Tributes, Bright Futures, NHL Player Credentials, Rookie Redemptions, and more! Collectors who complete an entire digital Red Script Parallel set (#1-250) on e-Pack and elect to redeem them will receive a Pack Wars exclusive 3-card Red Script Parallel Achievement set, with the ability to have the physical cards mailed to them. 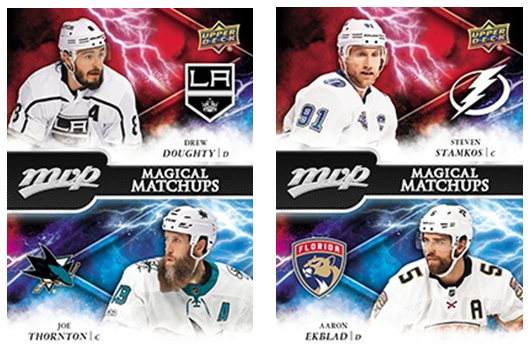 Collectors who complete an entire Magical Matchups set on e-Pack and elect to redeem them will receive a Pack Wars exclusive Magical Matchups Set Achievement, with the ability to have the physical cards mailed to them. For more information regarding Pack Wars, please head to the FAQ page, TUTORIALS page, or reach out to us using the CONTACT US link.